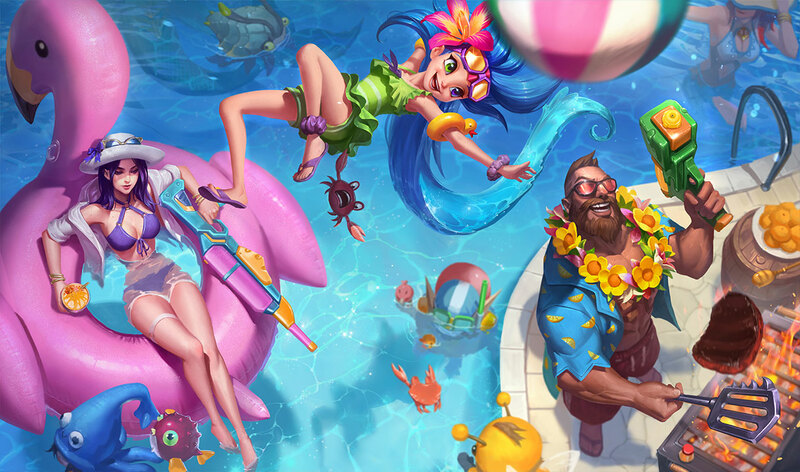 The new Pool Party event, Akali’s update, and more. 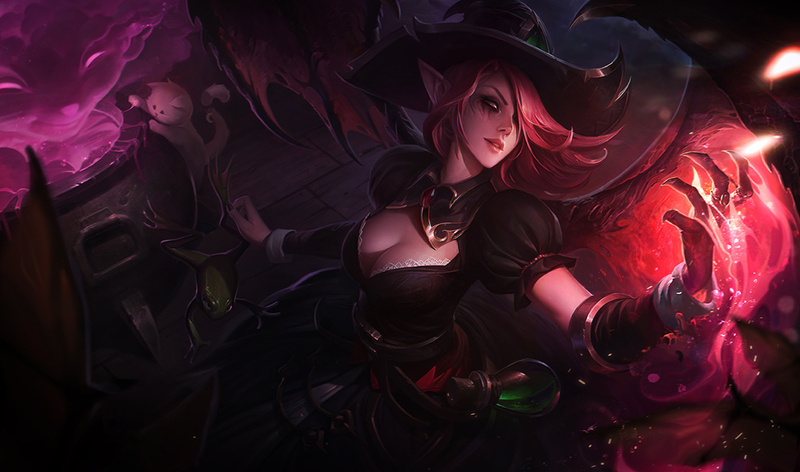 Riot is still trying to clean up the damage caused by the mid-season apocalypse, so this week’s patch is packed full of reactive changes to marksman items and more adjustments to gold funneling. On top of that, there’s the usual smorgasbord of balancing, including some much-needed nerfs to problem champions such as Kindred, Fiddlesticks, and Quinn, as well as starting support items. Akali’s major update also goes live with this patch, so get ready to either ban her in solo queue or become one of many players that will surely insta-lock her the moment she’s available. Here’s our comprehensive list of all the changes from Patch 8.15, pulled straight from the patch notes. Dark Wind (E): Mana cost raised at early ranks, and base damage per hit lowered by five at all ranks. Wolf’s Frenzy (W): Wolf bonus attack speed lowered from 50 percent to 25 percent. Lamb’s Respite (R): Cooldown raised by 20 seconds at all ranks. Base mana regeneration lowered from 15 per five seconds to 11 per five seconds. Black Shield (E): Mana cost raised by 30. Base armor decreased by four. Harrier (P): Base damage lowered from 15-100 depending on level to 10-95. Ancient Coin, Relic Shield, Spellthief’s Edge: Cost raised by 50 gold. Nomad’s Medallion, Targon’s Brace, Frostfang: Combine cost lowered by 50 gold, but total cost still the same. Activation time extended to 10 minutes, from eight. Seastone Trident (W): Active base damage and AP scaling raised significantly; on-hit AP scaling raised as well. Chum the Waters (R): AP scaling of Guppy, Chomper, and Gigalodon raised significantly. Base AD raised by three. Ionian Fervor (P): Damage per stack raised from 1-12 depending on level to 4-17. Bladesurge (Q): Range and base damage slightly lowered, and AD scaling dropped by 10 percent. Defiant Dance (W): Damage reduction changes from 45-65 percent depending on rank to a flat 50 percent. Flawless Duet (E): Range lowered by 50 units, base damage lowered by 10, and damage reduction to monsters removed. Vanguard’s Edge (R): Range lowered by 50 units. Sonic Wave/Resonating Strike (Q): Base damage lowered slightly, but AD scaling raised from 90 percent to 100 percent. No longer deals damage based on missing health, but instead scales up to 50 percent bonus damage based on missing health. Vicious Strikes (W): Attack speed raised significantly. Dark Sphere (Q): Base damage raised from 50-230 depending on rank to 70-230. Dark Passage (W): Cooldown lowered at later ranks. Flay (E): Max AD contribution raised from 80-200 percent depending on rank to 100-200 percent. Cost lowered by 100 gold. After hitting an enemy champion with one of your abilities, a circle appears around them. When you leave the circle, your next basic attack has more range, deals bonus damage, and restores energy. Akali throws blades in a cone in front of her. Enemies hit by the tip of the ability’s range are then slowed. If Akali has full energy when casting this, she heals. It also deals more damage to minions and monsters, too. 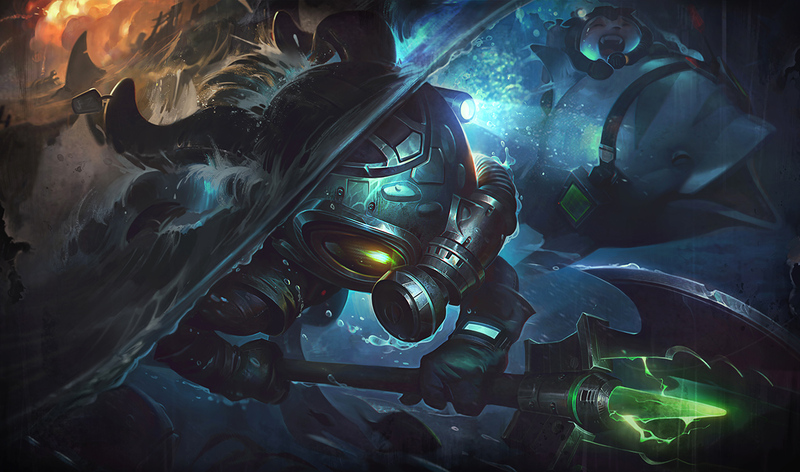 This is the crowning jewel of Akali’s new kit. She drops a smoke-shroud for five seconds, giving her true invisibility, which means nothing can reveal or target her, including towers or revealing abilities. She has a 20 percent movement speed boost while inside the shroud, and it expands throughout its duration. If Akali exits and re-enters invisibility, the duration is extended. This ability restores energy. 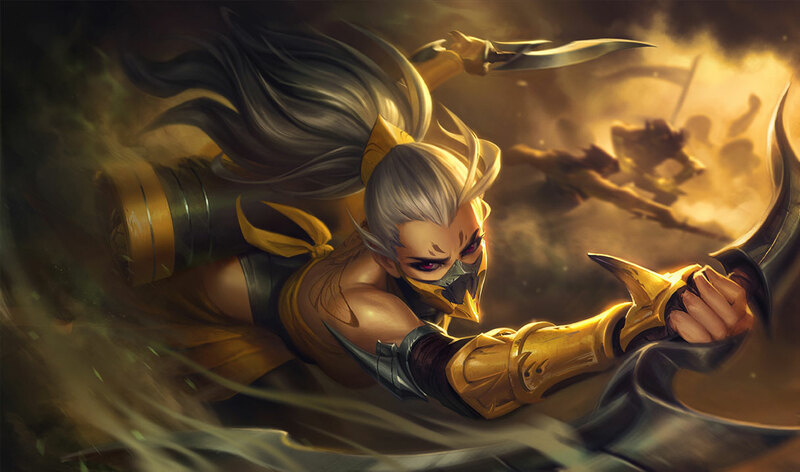 Akali back-flips and throws a shuriken in front of her, dealing physical damage. If it hits an enemy or lands inside of her W, she can cast this ability again to dash to it. This flip can cross terrain, and it pushes her outside of her passive’s range, opening up the possibility for easy bonus damage. Akali’s ultimate gives her two dashes. The first deals damage and stuns her targets, while the second one deals execution damage, scaling with how low the enemy’s health is. Total cost lowered by 200 gold. Build path changed to BF Sword, Pickaxe, and 1,225 gold. True damage conversion lowered from 15 percent to 10 percent. Now deals bonus crit damage to minions and monsters. Total cost lowered by 400 gold. Build path changed to BF Sword, two Long Swords, Dagger, and 500 gold. Attack speed lowered by five percent. Monster Hunter gold restriction now applies if you have the most CS on your team, rather than the most gold. Performance-based stats are being added to their own page of the client. This new Stats tab can be found inside your Profile.